This wonderful quote from TS Eliot echoes the DIKW model of Data, Information, Knowledge and Wisdom. (pour les lecteurs français, je vous invite à lire l’éclairante description publiée dans la Master Thesis de Damien Boisbouvier, p.27 à 31). So Innovation is the (upper) part of the Knowledge layer. And where does Culture stand ? I’m currently reading Organizational Culture and Leadership by Edgar Schein, and I would tend to believe that culture is what turns organizational Knowledge into organizational Wisdom. 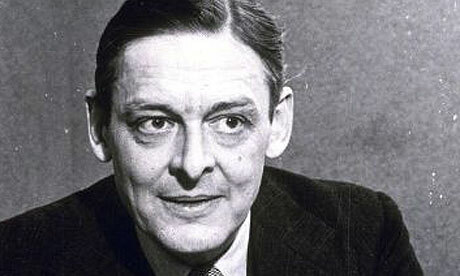 In any case, as we are overwhelmed with data and information, TS Eliot question remains as relevant as ever. There are no shortage of discussions to be found on the Data-Information-Knowledge-Wisdom hierarchy and precious little consensus. In the latter, I offer up a variation on the DIKW pyramid and one of the most immediately notable things is that I lopped off Wisdom – declaring it to be a term that just doesn’t seem appropriate to use these days (regardless how many people seem to take solace in throwing it around and bathing in its warm glow). As David so artfully addresses, there are some relatively well understood and well-trodden usages of the core concepts here but they are generally not very popular. That might be the most interesting part of the discussion. Hi Joe, thank you very much for you insightful comment and all the references. I do admire David Weinberger, actually the former motto of this blog was “Hyperlinks subvert hierarchy” from David’s contribution to the Cluetrain Manifesto. Actually I am kind of new to this thinking and the DIKW matched rather well the way I was trying to build internally this model. As I said somewhere else, all models are wrong, some are useful. I think this one is, as it is the foundation of some great discussions on the topic. The article I quote reminds that some wel respected figures such as Dave Snowden think it is just plain irrelevant. Last but not least, I just loved the alignment betwen TS Eliot poetry and the DIKW model. I’m not so sure about wisdom being irrelevant in the organisation context. I’ve been studying Lean Management for the last year or so and I tend to believe that lean attempts to tend towards such thing as organisational knwoledge. Thnaks again for the conversation and the links – I will check them out and let you know.